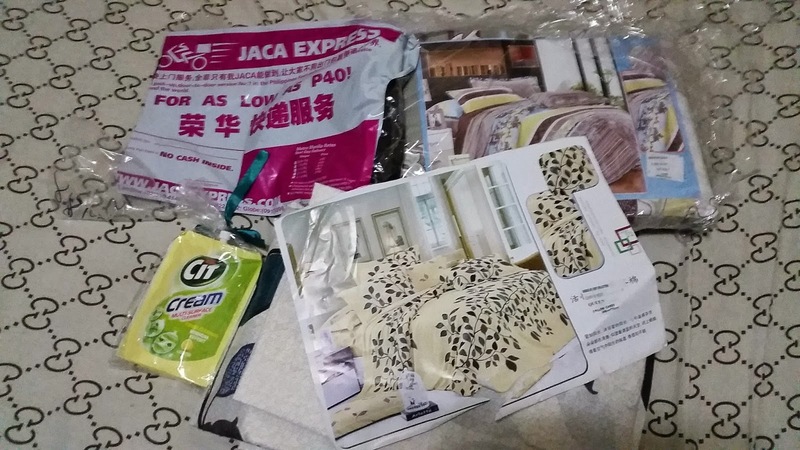 This post was created after I received the products that I recently bought thru Ensogo.com.ph, I just wanted to share my online purchase experience from this site, which by the way my 4th time from them. 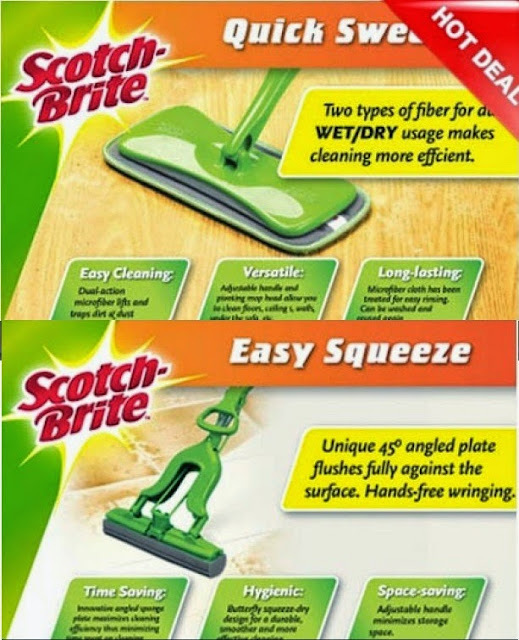 My first order was way back year 2011, the Scotch Brite Mop Set for Php500 which was delivered as scheduled. Clean like a pro w/ two new mops from the Scotch-Brite™ Floor Cleaning Tools, Free Delivery (valued at P1105). I'm quite satisfied with the product and the convenience of having it delivered right at my door step. That is why up to now, I continue to patronage group buying sites which I believe not only saves me money, but saves me time as well. The next purchase I made from ensogo was the "Boogie and Friends Platinum Party Package" for my son's 7th Birthday next month. 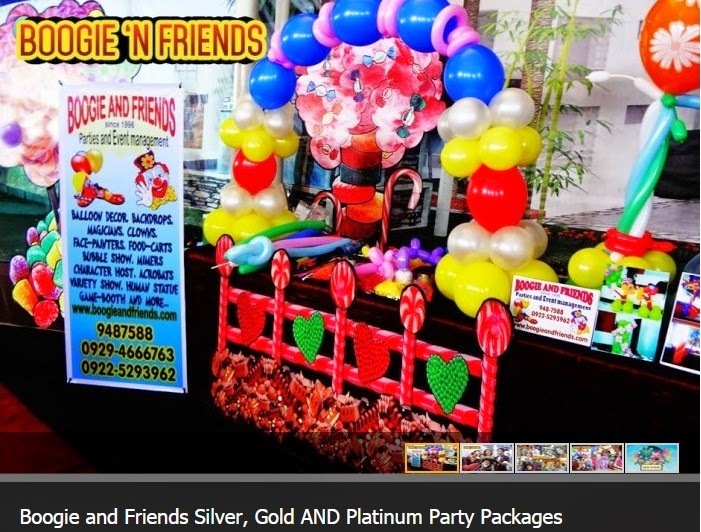 pillar + 1 balloon cake arch + 1 food cart good for 100 persons (choice of mixed balls, cheese sticks, French fries, popcorn, kropek OR snowcone) + 1 face painter for P8189 (valued at P18600). I called the merchant upon payment confirmation and after I receive my voucher. I reserved and confirmed my event details and was informed that I have to add Php1,000 fee for transpo, which I think was okay since they're from Marikina pa.
After that unused voucher to be used next month, followed my purchase for 3 sets of "Shade of Light 4-pc. Bedsheet". I ordered 2 sets of Queen and a set of Double sized sheets. Luckily, I got the chance to use their 10% OFF discount code for the Black Friday Sale. As indicated, the shipping cost was calculated per order. I wasn't familiar with their shipping fees calculation for multiple orders, so it wasn't a big deal for me as I only compare the total price of these 3 sets for the equivalent value of only a set of sheets being sold at Department Stores. I've waited 3 days for my voucher and was wondering why the payment still appeared as "Payment Under Review" so I called Customer Support (555-6868) and was informed by their helpful agent that there was an erroneous calculation of fees due to multiple shipping cost of products and the discount code applied. I was advised that they will refresh the system and will be receiving my voucher within the day. 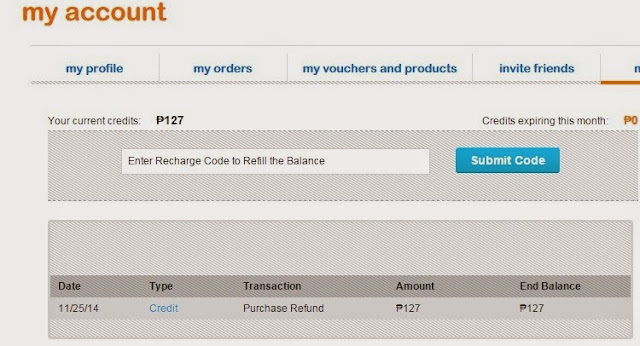 After 2 hours, I checked my account and was relieved to see my voucher and the refund credits for the wrong calculation of fees. The credits can be use for the next purchase, which I never had a chance to apply for the next purchase I made. Items received! It comes with a FREE Cif Tough Cleaner. After that purchase, again I am entice to have this very cheap offer from Photobook Mart. I no longer have the time to figure out how to apply my credits for this because the offer says for "Limited Time Only", so I bought right away thinking the offer will expire any time soon. Our photos has always been my precious collection, so a 9 pesos offer for a 6x6 40-page soft cover photobook for me, was definitely a good buy! I never wanted to missed out such money saving offer, so I bought a total of 8 photobooks in 3 different sizes. I'm still in the process of creating my photobooks thru My PhotoCreations software, so I'm yet to post here the products I purchased. My overall rating for Ensogo? The Customer Service is reliable, you just have to be patient and wait (it took me 4 to 5 minutes) for them to accommodate your call. I have red some negative feedbacks/ complaints against them, but luckily so far, I haven't encountered any problems with them as I carefully choose the products to buy and only choose delivery option instead of pick-up. Even if I found a deal that I wanted but offers only for pick-up of item, I ended up ignoring the offer. Why? my main reason for buying is to save time, so why bother to go to their office? My own thoughts... how about you? 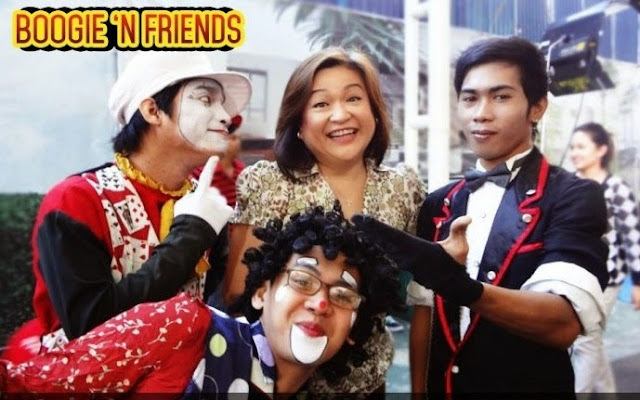 Have you encountered any problems with them? DISCLAIMER: I am not being paid to do this review, everything is purely sharing my own experience with Ensogo. I felt duped in buying the 6x6 photobook deal. Did you see the delivery charge on the separate link? It carried a freaking P350/photobook cost while some of their products are being delivered for free! I think they added the photobook cost and intentionally hid it under shipping cost to lure customers into buying. Whoa! I felt the same way. My stupid mistake for not waiting to verify with them the delivery charge or combine shipping fee. I contacted photobookmart (twice!) to request for combined shipping, since I ordered multiple photobooks and explained that I purchase with the intention to save more not to be charged with multiple shipping fee, but to no avail. We are sorry, we can't do combine shipping. Can I please request for combine shipping because I have a total order of 8 photobooks to be processed. I ordered thru ensogo.com.ph and thought that I can save more. Can I have special request to combine shipping because it is very costly to have individual shipping fee. Our system can only accept 1 voucher at a time, hence it does not allow combine shipping. Photo books are shipped by professional courier service provider,it is packed in an individual box and the courier services will charge Photobookmart base on per box basis. They used to offer the photobooks at a higher cost but with lower shipping cost. Now, they lowered the cost of the photobook but added it up to the delivery charge. That leaves a bad taste in the mouth. I have requested for cancellation and refund from Ensogo. Not sure if they will grant though. Thanks for sharing your experience! I made my first Ensogo purchase last month and only had time to finish creating my PhotoBook last night. 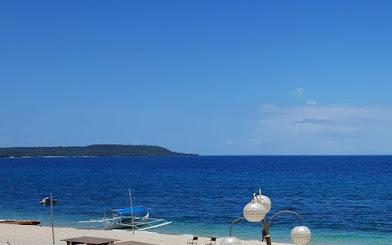 I was actually surfing for info if anybody has encountered any problems with delivery as our post offices in the Philippines are notorious in adding ridiculous taxes on parcels that come from other countries. I guess I have to wait for several days until the PhotoBook arrives from Malaysia. Yep, ridiculous taxes it is! But I think the photobook will be delivered door to door. I am expecting to have it that way, and also waiting for my 6x6 order to arrive. I just bought 2 miracle socks at Ensogo last month, April 2015. It was delivered 4 days after I paid for it. When the products came, I checked it and I noticed that the boxes were old and teared already like it was opened by someone who checked the products. I am very disappointed at it. Next, I also ordered 4pcs of LED Light Bulb. The watts of the bulb that I ordered is 7. When it was delivered 10 days after I paid for it, they gave me a wrong watts percentage. Instead of 7 watts I received 3 watts. I'm thinking that this kind of online store will harm many people. 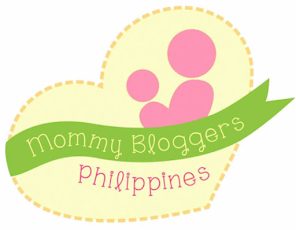 I just wanted to warn all the costumers that think that Ensogo is a great online shop in the Philippines. Actually it is not. I'm very disappointed. I will not order again any products at Ensogo. Bad costumer service, bad products and selling fake products. I really hate ENSOGO!!!!!!!!!!!! Waste of MONEY!!!!!!!!!!!!!!!!!! As of the moment, i am waiting for their reply regarding my complaint. I bought an Estee Lauder perfume for P1000 last week. As advertised its 100% authentic but to my dismay they sent me a FAKE item. I compared my own estee lauder and its very far different. They are not replying anymore my emails. ENSOGO I WANT MY REFUND!